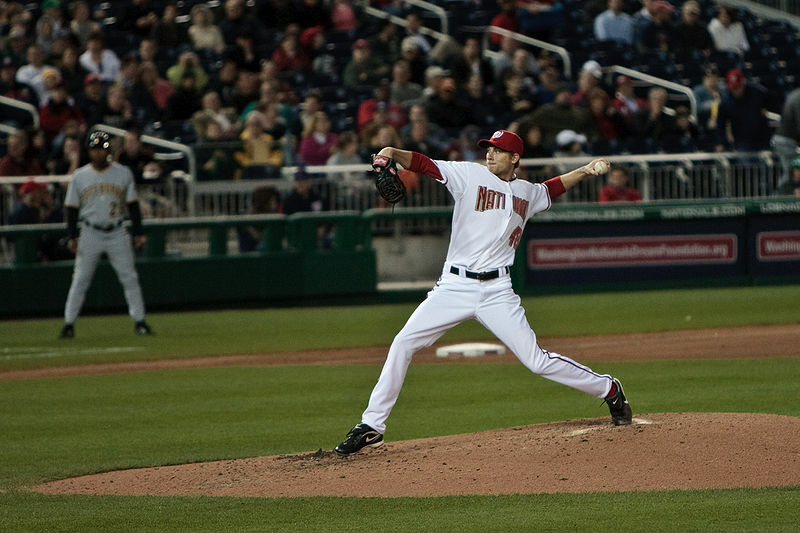 Storen to the minors… did he deserve it? Talk about a fall from grace. 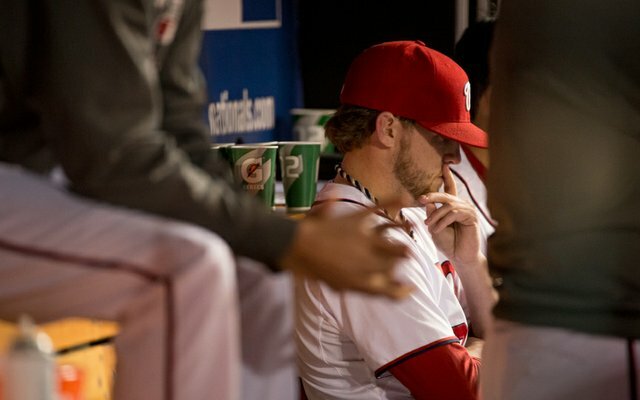 Drew Storen went from being the closer for a 98 win team in Oct, 2012 to being optioned to the minors after Friday 7/26/13’s doubleheader. On the face of it, it makes sense. This team is struggling, Ryan Mattheus is off the D/L, and there were 8 relievers for 7 spots. 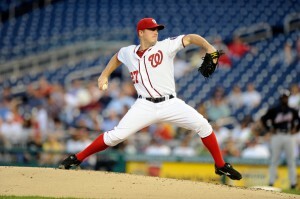 Storen’s numbers in 2013 have been abhorrent: a 5.95 ERA and a 1.512 whip in 42 1/3 innings. 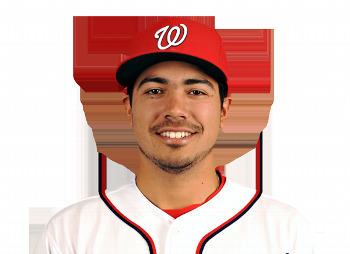 The team isn’t scoring any runs, so the last thing they need is a reliever who can’t hold a close lead right now. A look deeper into Storen’s numbers though reveals a very tough-luck case. Looking at his advanced stats from Fangraphs, he’s got a .346 BABIP right now, 45-50 points above the league average and a good 60 points above his career average. He’s been very unlucky on balls in play. This contributes to the huge gap between his ERA (5.95) and his FIP (4.16), and especially his xFIP (3.59). This expected FIP by they way is significantly better than Rafael Soriano‘s current xFIP (4.26). The point? Storen has been unlucky so far this season and, were he given the chance to allow his appearances to regress to the expected mean, he likely would have pitched a ton better going forward. Side Note: Luigi De Guzman (aka “Ouij”) from Natstradamus did a fantastic bit of data mining, looking at Storen’s detailed pitch f/x data to delve into the reasons for Storen’s downfall. Definitely go over there and read that piece. 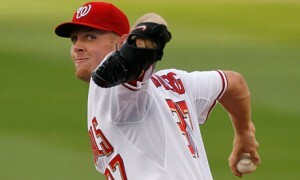 Steve McCatty was quoted during Saturday’s broadcast as saying that he wanted Storen to work on his mechanics. 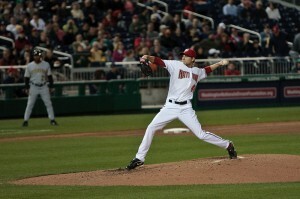 Specifically, Storen used to vary his left leg motion between the straight legged approach and a conventional knee bend. This is confirmed by beat reporter James Wagner‘s story to the same. Makes sense to me: the straight leg kick causes him to be slower to the plate, making it harder for him to hold runners. The Nats as a team are already struggling to hold runners in general. Plus, I’ve privately wondered if the varying leg kick causes him to struggle to hold his mechanics. McCatty alluded to this, wondering if Storen’s control is affected. On a different note; I’ve said this before, but I cannot help but think that Storen’s mental state has been in question ever since the acquisition of Soriano. Buying Soriano on the FA market was essentially management telling Storen either a) we don’t trust you anymore after your game 5 meltdown, or b) we don’t think you’re good enough to be our closer any more. It was an public and embarrassing demotion, and not every guy will take it in stride. Tyler Clippard may have had an easier time with it since he was already an established 8th inning guy, and he was never really in line this season to be the closer. These are the kind of man-management issues I think us casual fans forget about; just like you have problems in your office, so do players have problems in the clubhouse. So, tough break for Storen. 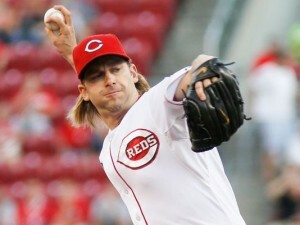 Two straight awful appearances plus the blown save in 7/20’s Los Angeles game conspired to get him sent to the minors. Lets hope he regroups, clears his head and is ready to come backup when the next spot in the bullpen opens up.